Willowood Clomazone 3ME is an agricultural and commercial herbicide used to control weeds on snap beans (succulent), cabbage, cucumbers, cotton, melons (muskmelons and watermelons), peas (succulent), peppermint, peppers, rice, soybeans, spearmint, squash, sugarcane, sweet potatoes, tobacco, and tuberous and corm vegetables. 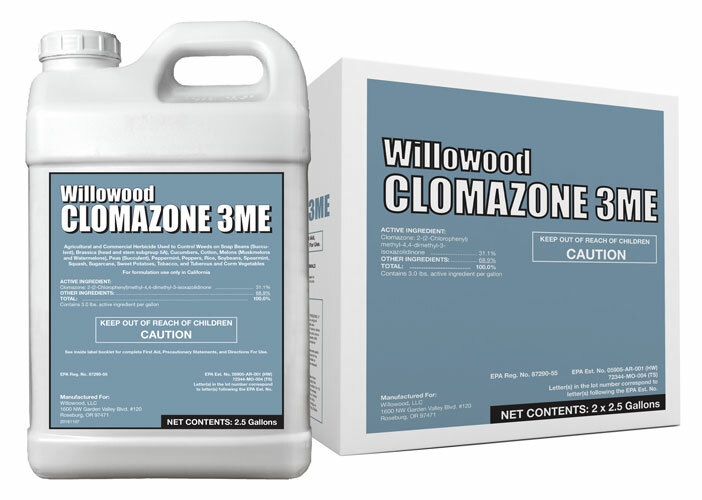 For specific use instructions see back or refer to Willowood Clomazone 3ME product label. COMMAND 3ME® is a registered trademark of FMC Corporation.